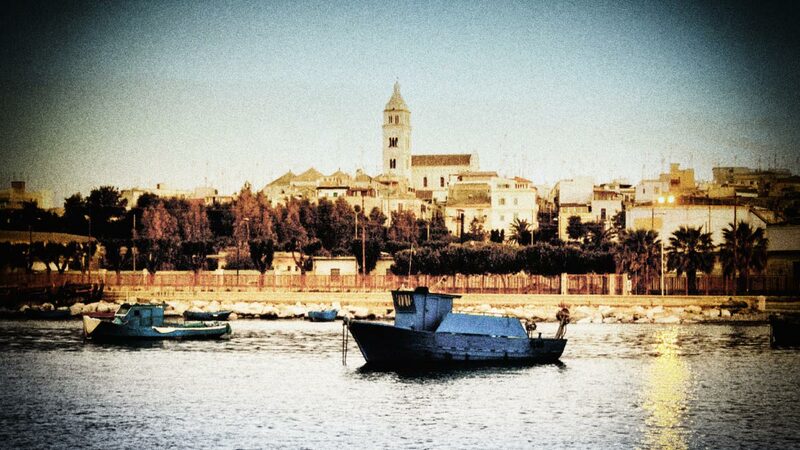 On October 19, 2014, a memorable event took place in Southern Italy in the historic town of Barletta. Addressing the audience and the people of the world, Dr. Matthias Rath gave a keynote speech in which he outlined the cornerstones of a future preventive health care system. Demanding that powerful corporate interests should be stopped from imposing the “business with disease” on the people of the world, he described unique and impressive strategies that will allow mankind to free itself from the current dictatorial system of health care. Today, at the beginning of the 3rd millennium, we, the people of the world, have the opportunity and responsibility to reduce and largely eliminate diseases that have haunted mankind from its very beginning, including cardiovascular disease and cancer. Over the past century, great progress has been made in the field of human health. Despite this, today’s most common diseases continue in epidemic proportions. Human health is being held hostage on a global scale by the status quo – at its center, the pharmaceutical investment industry that has defined wide-spread diseases as its target market and which thrives on their continuation. The World Health Organization and other United Nations bodies have defined optimum health as one of the greatest social goals to be achieved by mankind. But despite many declarations, these international organizations have failed to achieve this aim. This is due to their dependency upon corporate interests and the fact that there was no scientific rationale that would have allowed the people of the world to support and help implement the great goal of ‘health for all’. Emboldened by these facts, the status quo has now declared an economic war on mankind to be led on the battlefield of human health. We are being told that over the next decade and a half we will have to spend almost 50 trillion dollars for the management of cardiovascular disease, cancer, diabetes, mental illness and respiratory diseases alone. This amount essentially equals the sum of the gross domestic products of almost the entire world, excluding only the United States and China. In this situation we, the people of the world, have a choice: Either we allow this and all future generations of mankind to become economically dependent upon the investment business with disease and to be controlled by its political stakeholders – or we take responsibility now by creating a new prevention-oriented health care system for the people and by the people. The audience on October 19, 2014, listening to Dr. Rath’s speech. First, we have to define the principles of this new, preventive health care. Health is one of the most important human needs and social goals worldwide. A comprehensive state of health and well-being for the people of the world cannot be achieved by interventional medicine that is merely making sure diseases are being treated once they occur. The goal of providing health to all the people of the world can only be achieved when the focus of healthcare is switched from intervention to prevention – that is, towards averting and correcting the malfunctioning of our body before diseases develop. Once the root cause of a disease is understood, effective preventive strategies can be implemented. Moreover, the effective long-term prevention of any disease on a global scale must lead to the eradication of this health condition as a cause of human mortality. Achieving this goal will save millions of lives and billions in health care costs. We must be aware that the prevention and elimination of diseases fundamentally threatens the giant investment business that is dependent on their continuation. To secure continued revenues from this business and to cement its power, these special interests have been trying to create a global monopoly on health, essentially penetrating all sectors of the current health care system and influencing health policies in most countries of the world. Thus, in undertaking the historic transformation towards natural and preventive health we must not live under the illusion that the stakeholders of the current businessoriented health care system will become allies in this transformation process. We, the people of the world, must lay down the principle of disease prevention by natural means as the foundation of the new health care system. Moreover, since the people are the primary beneficiaries of this new health care, we must also be the architects of this breathtaking world in which today’s most common diseases become largely unknown. Hypocrisy: At the same time that these statements are issued by the UN’s FAO this very institution is a driving force of the ”Codex Alimentarius” effort by the pharmaceutical drug lobby to ban natural therapies worldwide. This new health care system must be built from the bottom up. Starting at the level of communities and eventually reaching the national and international level, new, effective health care structures have to be created and controlled by the people. New health professions specialized in all aspects of natural, nutritional and other forms of preventive medicine and primary health care have to be created. This is the only way in which the current monopoly on health care, controlled by business interests, can be overcome. Eventually, a new international body has to be created to replace the current structure of the World Health Organization that has failed in its mission to provide health for all people and has proven to be unreformable due to its close ties with the business interests of the status quo. Undertaking the historic task of building a new, prevention-oriented health care system, we embrace anyone sharing these goals who commits to ending the dependency of the people of the world upon the current health monopoly of the investment business with disease. The driving forces of this historical transformation are millions of lay people worldwide who qualify themselves in different sectors of natural health and commit as active architects of a prevention- oriented health care system. They are supported and complimented by health professionals from the field of science-based and evidence-based natural health. Finally, we will be joined in this historical transformation by a growing number of conventional doctors who recognize the deadlocks of conventional medicine in many areas of health and who realize that they, too, have become victims of a medical training system that degrades the medical profession, essentially reducing it to a sales force for the pharmaceutical investment business. Many disciplines of science- and evidence-based health will join in the build-up of a prevention- oriented health care system. But the scientific core of an effective preventative approach to health care is nutritional and Cellular Medicine. First, we need to identify and understand the biological processes at the smallest unit within our body where health and disease is determined – the level of the billions of cells that make up our body. Second, we need to identify micronutrient deficiency as the most common cause of cellular malfunction. Vitamins, minerals and other plant-derived micronutrients are bioactive compounds that provide essential bioenergy to each cell of our body and function as the catalysts of thousands of metabolic reactions. An optimum daily intake of these micronutrients is essential to prevent cellular malfunctioning and, thereby, to stop the development of disease. This is the foundation of Cellular Medicine. Third, we need to identify where we can find these essential micronutrients in nature. The great majority of them are contained in fruits, vegetables and the plants that grow in our gardens and fields. This simple, logical rationale paves the way towards the natural control of today’s most common diseases. Aleksandra Niedzwiecki, Ph.D., head of the Dr. Rath Research Institute, and M. Waheed Roomi, Ph.D.; One of the focuses is to substantiate the evidence of the effect of micronutrients for human health. Today, many chronic health conditions have been identified as being directly caused by, or at least associated with, a deficiency in the dietary intake of micronutrients. They include such widespread diseases as arteriosclerosis, the underlying cause of heart attacks and strokes; heart failure; arrhythmia; diabetic circulatory problems; osteoporosis and many others. Over the past century, half a dozen Nobel prizes have been awarded for the role of vitamins and other micronutrients in strengthening the immune system and helping to fight a multitude of infectious diseases. The powerful health benefits of micronutrients are explained by the fact that they are bioactive components of plants. Moreover, plants have been the primary source of nutrition for our ancestors over millennia. Thus, the metabolism of our body today has become dependent on a balanced and optimum intake of fruits and vegetables. Therefore, knowledge about the micronutrient content of plants has to become a key element in any education program towards a preventive health care system. Knowledge about the vitamin C content of citrus fruits, the polyphenol content of green tea or the micronutrients contained in sweet potatoes, cruciferous plants, grapes and many other plants, and their role in optimizing cellular metabolism, creates the decisive links between nutritional and Cellular Medicine. An effective, preventive health care system has to tear down any remaining artificial barriers between nutrition and health as well as between medicine and agriculture. The most effective medicines for the health care system of the future are grown in our gardens, on cultivated land within our communities and on the fields of our farms. The fruits and vegetables we plant and eat are organically grown and are free of pesticides and GMOs. While nutritional and Cellular Medicine form the scientific basis of effective disease prevention, they are complemented by other well-established preventive health measures. These include other natural health approaches, the promotion of a healthy lifestyle, the means to reduce stress at the workplace, the commitment to secure clean air and water, and other measures promoting disease prevention. Dr. Rath Research Institute in California: staffed with world-class scientists from the fields of medicine, biochemistry, cellular biology, toxicology and nutrition. The essential building blocks of a new, prevention-oriented health care system are education and participation of the people. The artificial division between our food and our health is an important reason for the widespread health illiteracy among the people of the world today. This health illiteracy is no coincidence but a precondition for the continuation of the status quo’s ‘investment business with disease’. The disregard for the essential role of micronutrients in human health was also the main reason why all declarations by the World Health Organization and other United Nations organizations proclaiming the global need for preventive and primary health care have failed. Without a viable scientific concept these proclamations remained empty and had to fail. Now, the people of the world are rapidly learning about the scientific facts and compelling logic of nutritional and Cellular Medicine. Thus, they will be able to largely liberate themselves from the burden of today’s most common diseases and actively participate in the construction of a prevention-oriented health care system. Awareness. We need to create awareness among the people of the world about the deadlocks of the current health care system and the urgent need to develop alternatives. The quest for ‘health’ in a person’s life must no longer be limited to those moments when they are sick and in need of a doctor or hospital. Most importantly, we must realize and become aware that health is not given to us voluntarily; we need to take action ourselves to make health a human right. Education. The second hallmark of health liberation is ‘education’. We can no longer delegate our health to another profession or institution. We need to take responsibility for our own health in a comprehensive way by educating ourselves about the most common causes of diseases and how to prevent them in a safe and effective way. This education is a continuous process throughout our life. Empowerment. Solid health education creates ‘empowerment’. With ongoing education and increased knowledge in natural, nutritional, cellular and other forms of preventive medicine we will be able to make better decisions for our own health and that of others. By passing life-saving health information on to others we gradually become ‘health teachers’. Participation. And finally, out of the power of knowledge, the desire of ‘participation’ grows within ourselves – the urgency to take an active role in overcoming the deadlocks of current health care. Only if we, the people, take responsibility within our communities and beyond will we be able to create a new preventive health care system at the national level and achieve the ultimate goal of ‘health for all‘ on a worldwide scale. The participation of the people in building a new preventive system of health care is the right and duty of every responsible citizen. Permaculture allows us to design our environments in the healthiest most regenerative way, by integrating all components of our ecosystem and respecting nature’s patterns and rhythms.